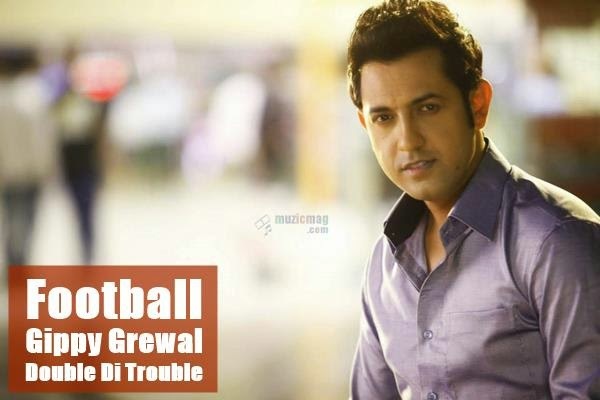 Check out the Lyrics of Song 'Football' from Gippy Grewal's Punjabi Movie Double Di Trouble. Song is sung by Gippy Grewal. Song is written by famous singer song writer Veet Baljit Kaonke and Music is composed by Pav Dharia. Smeep Kang's directorial Double Di Trouble is a Punjabi Movie starring Dharmendra, Gippy Grewal, Poonam Dhillon, Kulraj Randhawa, Minisha Lamba & Gurpreet Gugghi. Releasing August 29th, 2014.